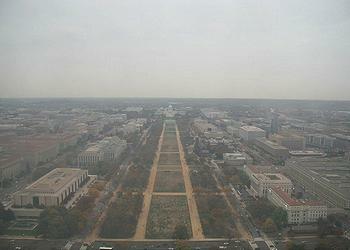 WASHINGTON, DC, November 27, 2014 (ENS) – The U.S. Environmental Protection Agency is proposing to tighten air quality standards governing ground-level ozone, or smog, to within a range of 65 to 70 parts per billion (ppb) to better protect public health and the environment. EPA last updated the health standard for smog, called the National Ambient Air Quality Standard, in 2008, setting it at 75 ppb. The Clean Air Act requires the agency to review this standard every five years, so this proposal is overdue and the agency is under a court order in a case brought by environmental groups to finalize a new standard by October 2015. In the face of constant attacks by the incoming Republican majority in Congress and by the oil and gas industry, the agency says its proposal for a new, stricter standard is based on “extensive recent scientific evidence” about the harmful effects of ground-level ozone, including more than 1,000 new studies published since the last update. “Fulfilling the promise of the Clean Air Act has always been EPA’s responsibility. Our health protections have endured because they’re engineered to evolve, so that’s why we’re using the latest science to update air quality standards – to fulfill the law’s promise, and defend each and every person’s right to clean air,” McCarthy said. Ground-level ozone forms in the atmosphere when emissions of nitrogen oxides and volatile organic compounds from cars, trucks, buses, industries, power plants and fumes from fuels, solvents and paints “cook” in the sun. Studies indicate that exposure to ozone at levels even below 75 ppb – the level of the current standard – can harm the respiratory system and cause or aggravate asthma and other lung diseases. Smog exposure at this level is linked to premature death from respiratory and cardiovascular diseases. People most at risk are those with asthma, children, older adults, and those who are active or work outside. The EPA says stronger ozone standards will provide an added measure of protection for low income and minority families who are more likely to suffer from asthma or to live in communities that are overburdened by pollution. Nationally, one in 10 children has been diagnosed with asthma. According to EPA’s analysis, strengthening the standard to a range of 65 to 70 ppb will provide much better protection for children, preventing from 320,000 to 960,000 asthma attacks and from 330,000 to one million missed school days. Strengthening the standard to a range of 70 to 65 ppb would better protect both children and adults by preventing more than 750 to 4,300 premature deaths; 1,400 to 4,300 asthma-related emergency room visits; and 65,000 to 180,000 missed workdays. EPA last adopted national standards for ozone on March 12, 2008, during the Bush administration. The 2008 standards were weaker than those recommended by doctors and EPA’s own science advisors. Former EPA Administrator Lisa Jackson publicly acknowledged that the 2008 ozone standards were scientifically and legally “indefensible,” and EPA proposed to strengthen the standards in January 2010. EPA was ready to finalize new ozone standards in September 2011, but President Barack Obama directed EPA to delay the standards. Instead, Obama said the agency would review and revise the standards by the Clean Air Act’s five-year mandatory review deadline of March 2013. The EPA failed to meet that timetable, and the public interest law firm Earthjustice filed suit to enforce the deadline on behalf of some of the country’s largest environmental groups: the American Lung Association, Environmental Defense Fund, Natural Resources Defense Council, and Sierra Club. In April 2014, a U.S. District Court ordered the EPA to issue proposed ozone standards by December 1 and finalized standards by October 1, 2015. The doctors, health and environmental groups that secured a court-ordered deadline for Wednesday’s action argue that the proposal is a step in the right direction but doesn’t go far enough to protect people’s lungs. The agency is seeking public comments on this proposal for the next 90 days and is also taking comments on a level as low as 60 parts per billion. “The EPA’s previously proposed ozone standard came with a price tag of up to $90 billion per year, by EPA’s own estimation,” said Inhofe. In the new Congress, “this rule will face rigorous oversight so we can gain a better understanding of the health and economic impacts of the proposed standard, and we will solicit the thoughtful input of state and local leaders across the country,” said Inhofe. EPA says that the benefits of meeting the proposed standards will far outweigh the costs. “If the standards are finalized, every dollar we invest to meet them will return up to three dollars in health benefits,” the agency said in a statement. These large health benefits will be gained from avoiding asthma attacks, heart attacks, missed school days and premature deaths, among other health effects valued at $6.4 to $13 billion annually in 2025 for a standard of 70 ppb, and $19 to $38 billion annually in 2025 for a standard of 65 ppb. Annual costs are estimated at $3.9 billion in 2025 for a standard of 70 ppb, five billion for a standard at 65 ppb. The American Petroleum Institute, API, a national trade association representing the oil and natural gas industry, objects to the proposal as being too expensive for its memebers. The EPA replies that a combination of recently finalized or proposed air pollution rules – including “Tier 3” clean vehicle and fuels standards – will cut smog-forming emissions from industry and transportation, helping states meet the newly proposed standards. EPA’s analysis of federal programs that reduce air pollution from fuels, vehicles, power plants and other industries shows that the vast majority of U.S. counties with monitors would meet the proposed standards by 2025 just with the rules and programs now in place or underway, a statement that agrees with the Republican position. Local communities, states, and the federal government have made substantial progress in reducing ground-level ozone. Nationally, from 1980 to 2013, average ozone levels have fallen 33 percent. EPA projects that this progress will continue. The Clean Air Act gives states time to meet the standards. Depending on the severity of their ozone problem, areas would have between 2020 and 2037 to meet the newly proposed standards. Senator Edward Markey, a Massachusetts Democrat who retained his seat in the midterm elections, is a member of the Environment and Public Works Committee who supports the EPA’s proposal. “‎For decades the Clean Air Act has helped protect the health of Americans by following the recommendations of the nation’s top doctors and scientists,” said Markey on Wednesay. “EPA left the door open to lower the standard as far as 60 ppb, which would force out of attainment all 77 counties in Oklahoma,” Inhofe said, adding that a 60 ppb standard would put federal highway funds at risk, restrict industry plans to expand, and cost Oklahoma thousands of jobs. Today we are breathing the cleanest air since the Clean Air Act was passed in the 1970s, and our country should first look to meet the current ozone standard before we even consider adding more burdensome, costly mandates,” Inhofe said. To ensure that people are alerted when ozone reaches unhealthy levels, EPA is proposing to extend the ozone monitoring season for 33 states. This is particularly important for at-risk groups, including children and people with asthma because it will provide information so families can take steps to protect their health on smoggy days. The agency is also proposing to strengthen the “secondary” ozone standard to a level within 65 to 70 ppb to protect plants, trees and ecosystems from damaging levels of ground-level ozone. New studies add to the evidence showing that repeated exposure to ozone stunts the growth of trees, damages plants, and reduces crop yield. The proposed level corresponds to levels of seasonal ozone exposure scientists have determined would be more protective. EPA will seek public comment on the proposal for 90 days following publication in the Federal Register, and the agency plans to hold three public hearings. 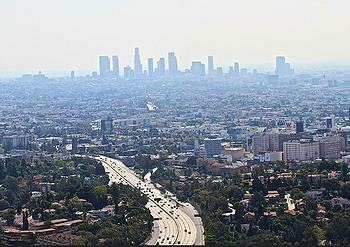 EPA will issue final ozone standards by October 1, 2015.